Save valuable time and maximize your buying potential with a few guidelines to remember. With the Real Estate World going viral in cyberspace, it can be daunting to locate a Realtor who lives and works in the area you are interested in pursuing. In many cases on large syndicated portals, Realtors can pay to advertise next to listings in areas where they have never visited or worked. These valuable tips will save you time, frustration and money! 1. Hire the right Realtor by asking these questions! Do you live in this area and if so, how long? How long have you been selling Real Estate here? How many properties have you sold in this area? Do you sell real estate full time and keep up with the market daily? Are you involved in the local community, and do you stay informed on regional issues that impact real estate values? How do you Hire the right Real Estate Agent? As the internet and nationwide real estate website portals grow more impersonal, it's not always obvious which agent is actually an expert in the area you are interested in. As a Buyer, the Realtor you choose is your link to important information regarding local schools, zoning, rules and County regulations, neighborhood associations, building codes, remodeling restrictions, rental limitations, market activity, trends and property values. Every city has different laws governing what can and can’t be done with a property. Sanibel Island where our flagship office is located is one of the most beautiful cities in the United States due in part to strict building codes and city planning. Hiring a Realtor with experience in local real estate transactions is critical to be an informed buyer. Like any area, Sanibel has a wide array of Realtors. Finding the right Realtor to work diligently on your behalf requires asking direct questions. Any real estate professional will happily answer any and all questions you have. The time you take time to find the right Realtor is invaluable. Here on Sanibel and Captiva we've had Realtors who have no local experience or island knowledge bring buyers into our listings (after we tell them how to get to the property). This is uncomfortable for everyone involved, especially the buyer who desperately wants information that the "expert" they have selected can't provide. 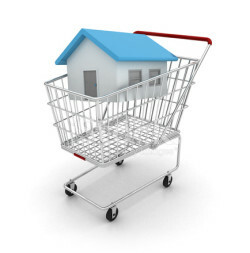 Since we personally open all of our listings their buyer gravitates to us for help. Yes this happens and it's awkward for everyone involved. Many Investors use 1031 Tax Exchanges. 1031 Tax Exchanges are tax free exchanges of investment property. Section 1031 of the Internal Revenue Code is one of the last great tax shelters. If you purchase an investment property of “like kind” within 180 days of the sale of a similar type property, and you are willing to increase the amount of debt or value of the property, your capital gains taxes can be completely deferred. Having personally completed a Reverse 1031 tax exchange on two Sanibel properties, I believe in using this powerful tax shelter. Consult your Realtor about if your property transaction will qualify for a 1031 Tax Exchange. A Reverse 1031 Tax Exchange is the same exchange concept as a 1031 Tax Exchange except you have purchased your replacement “like kind” investment property first, before selling the property to be exchanged. Learn more about 1031 Tax Exchanges, and how to use them to your financial advantage. Keep in mind that a neutral party must have act a Qualified Intermediary. Real Estate may also be bought and sold through your self directed retirement account. Whether you utilize a traditional IRA, Roth IRA, SEP, or company plans such as 401 (k) plans, Keogh, or profit sharing plans, investigate your options. A professional Realtor can put in touch with an accountant that specializes in 1031 Tax Exchanges. Pre-qualifying for a loan may not seem that important until you find your perfect paradise property at the same time as another buyer. When a property is priced to sell, it will usually attract more than one buyer. Once a seller receives an offer, the two most important things they consider are …the price, and the contingencies. For some sellers, a contract contingent on the buyer obtaining financing makes them uncomfortable with the offer. Eliminate any doubt in the mind of a seller, by pre-qualifying for the amount you may spend on the purchase of any property. This is especially important if your dream property suddenly has a price reduction. When this occurs other buyers might come into the picture, that didn’t look at that property before it went “On Sale”! Often times a seller will take a financially solid "clean" contract over a higher offer. Be ready to put a deal together! 5. Location Can't Be Changed! “Location, location, location”, while overused as a real estate phrase, is still and always should be a huge consideration as the buyer! If something about the location of a property bothers you, be aware that the same location drawback will bother other buyers you hope to attract when and if you need to resell the property! It’s important to ask questions, but often times it is difficult to know the right questions to ask if you are unfamiliar with the community. This is why it is so valuable to choose and hire the right real estate agent to represent your interests when buying a property. Just because there are woods behind your property does not mean it will always be that way. Know who owns each parcel of land adjacent to the one you like and what the building restrictions are. Sanibel Island for example has over 60% of lands held in conservation and land trusts. However one should not assume that an undeveloped area is conservation lands. Your Realtor should verify this with surveys and the city. 6. Get a Home Inspection! Obtaining a Real Estate Inspection Report performed by a licensed professional building inspector of your choice, can protect you from many defects that are hidden from view. Why gamble with such a large financial investment? Let a professional building inspector point out areas to be fixed or replaced that aren’t obvious. A good inspector will give you a lengthy report covering all systems in the home from electrical, to plumbing, to roof conditions, and structural concerns. Once you receive a report you may begin negotiations again concerning repairs. The seller will often agree to make necessary repairs up to a previously specified amount. When a seller lists their property “as is” they are letting you know that they are not willing to fix or replace any part of the property. If you are interested in an “as is” property and aren’t going to level the structure and build new, it is still in your best interest to obtain an inspection report. Don’t rely on the building inspector to look for termites and other harmful pest problems. Although an inspector will see pest damage, it is best to have a separate termite inspection conducted by a licensed company that understands pests and can eliminate them. 7. Obtain a Survey and Title Insurance! Surveys will show easements, encroachments, and boundary lines of a property. By surveying a home in an established neighborhood you are assured that the property boundary lines have been maintained. As homeowners add on the their properties over time with fences, sheds, docks, garages, and other structures, boundary lines can be crossed placing part of their structure on your property, or vice versa. Surveying vacant land is also important for same reasons as a home, plus a survey will help determine the size home, or amount of coverage the lot will allow. Title Insurance will protect your investment from another party claiming ownership interest in your property. Title searches will uncover liens placed on a property by vendors, or mistakes in past transfers of the title. The last thing you want to discover when you’re in the back stretch of a transaction is that there are encumbrances on the property such as tax liens, undisclosed owners, easements, or leases. Should a claim arise after the purchase of a property, the title insurance company is there to protect your ownership interest in that property. “Wants” and “Needs” are very different when is comes to real estate features. If every home you see has the upgrades you “want” but exceeds the price range that you “need”…. be realistic. Who wouldn’t love a large, oceanfront, professionally decorated home or condominium, with all the bells and whistles? Looking at properties that exceed your price range is always fun, but it can be extremely frustrating and upsetting. Be realistic by looking at listings in the price range you “need”, keeping an eye out for that special property that has the potential to evolve into the dream home you “want”. Always look beyond the furnishings, wallpaper, and floor coverings to the architecture of the home; it is then that you will find properties with potential. 9. Use Contract Contingencies Wisely! Contingencies in a contract for the purchase of a property are designed to protect you, the buyer! This may seem silly to mention but it’s important to remember that you need to work with the seller to come to an agreed upon contract. Valid contingencies to an offer are expected by the seller. Common contingencies include building inspections, termite and pest inspections, financing, and surveys. Many deals fall apart over small details, and easy to fix issues. Remember that sellers are emotional about their property. If you can see that major repairs or replacements need to be made due to neglect or age, make allowances for this in your offering price. The old adage “Everything is negotiable” still holds true, unless you upset the seller so much that they refuse to work with you. Try to avoid listing cosmetic changes you would like the seller to make as contingencies. Cosmetic changes are subjective, be objective when writing a contract. 10. Understand Health & Safety Issues! An informed Realtor will help you understand other health and safety issues that should be considered when purchasing a property. Safety and Health topics can include EIFS (Synthetic Stucco), indoor air quality, mold, radon, and lead paint. Many of these require the seller to sign a disclosure statement, while others may not apply due to the age, type of construction, or location of the property being purchased. You hired a Realtor to work for you on your behalf, don't be afraid to ask them for information. Do you want to look at all the properties in your price range, with the features you need, or just the houses a Realtor wants you to see? You deserve all the information you need to make an educated decision. Can you imagine buying the home that you felt was good for your family, only to find that you never received information on similar properties that perfectly suited all your needs? As the buyer you should always have the available information at hand. A professional Realtor wants to be your Realtor, now and for years to come. Their job is to help you find and acquire the right property that suits your needs and your time frame, not theirs. Here on Sanibel it is not uncommon to work with some buyers for several years in a row before they find the ideal property that suits their timeframe and budget. Real Estate is a referral business dependent on past client's satisfaction.